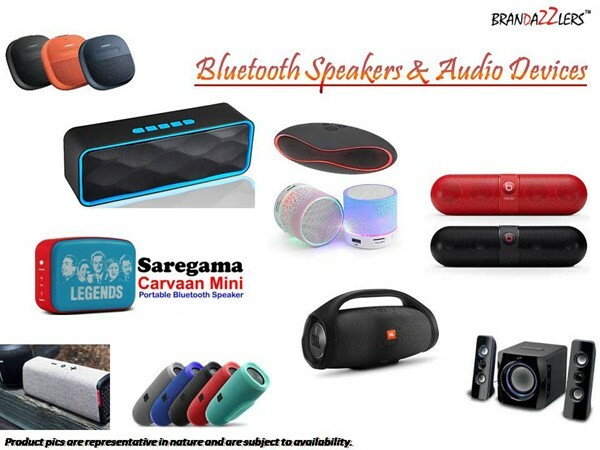 Corporate gifts or corporate gifting is a very endearing way to connect with your employees and appreciate their contribution in terms of awards or rewards. 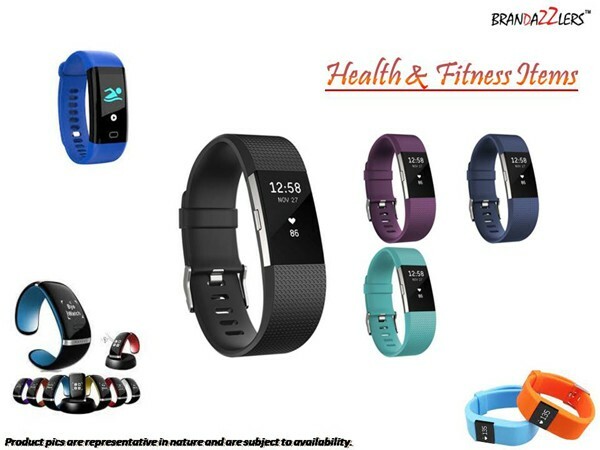 Corporate gift ideas for employees present itself as a feel good factor for employees who otherwise go through a lot of pressure, stress in their routine jobs. 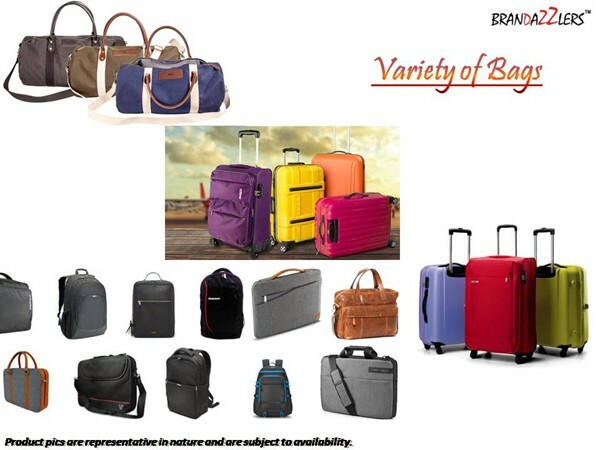 Also, corporate gifts online is an opportunity for the company or corporate to imprint its branding in the mind space of an employees and their families. 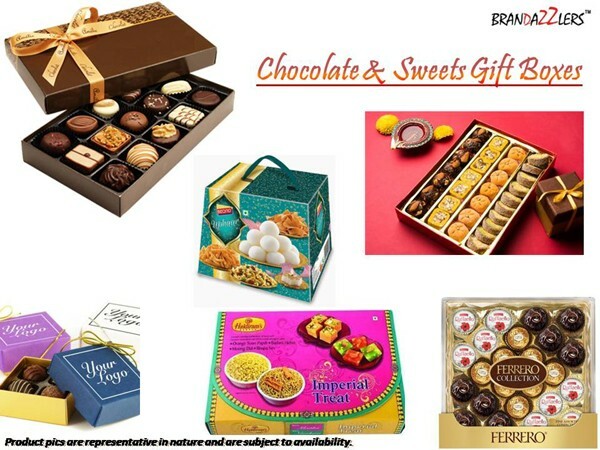 Employees are an important stakeholders in your company, so it makes a lot of sense to make them feel special with various corporate gift ideas for various occasions ranging from festivals like Diwali or Holi, events like anniversaries, birthdays, new year, sales meet, staff meet or awards like ‘employee of the month’, ‘sales person of the year’ etc. 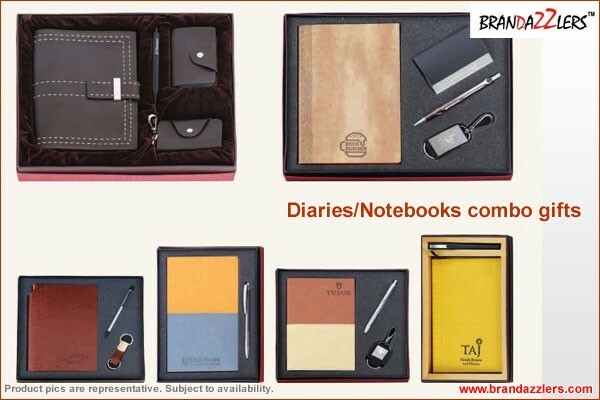 Diaries/Notebooks combo gifts: Diaries are mostly the first choice when it comes to new year corporate gifts in India. 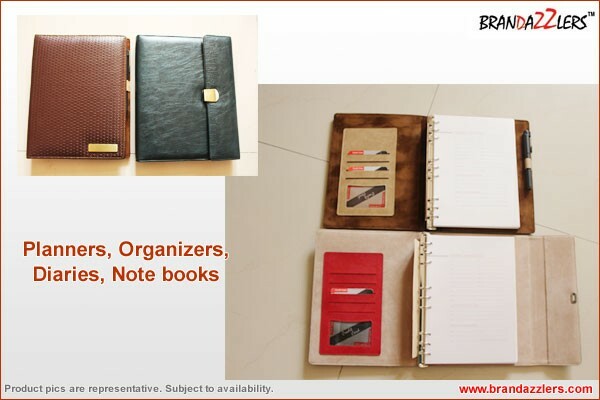 Brandazzlers have a nice collection of diaries/notebooks combo gifts to choose from. Executive planners and organizers: Planning and organizing things are important in the professional life of executives. 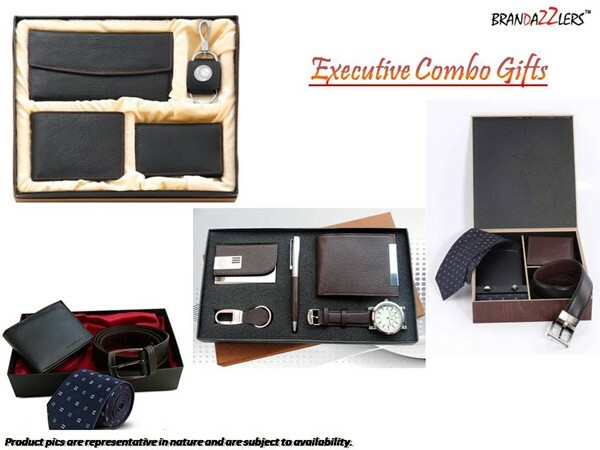 Executive planners and organizers can turn out to be excellent choice among many corporate gifts. 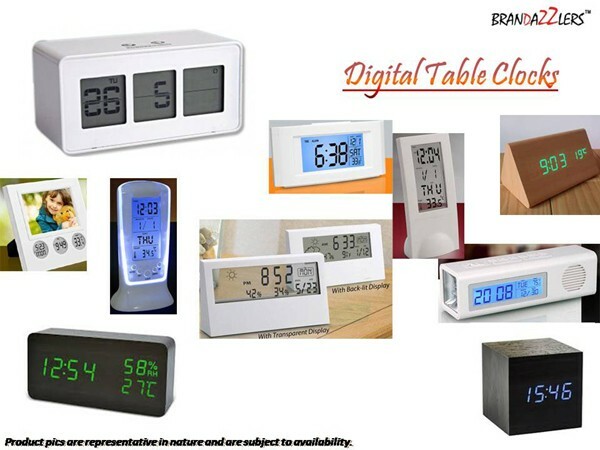 Desktop items, pen holders, table clocks, digital clocks etc: Nowadays, people work for most of the time in front of computers. 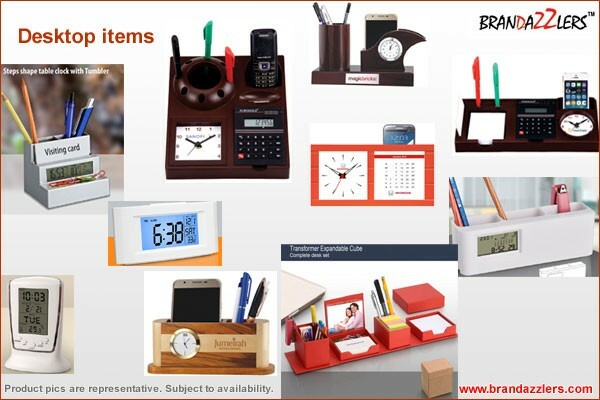 Having these gift items on the desk add a lot of value, utility and complement visually too. 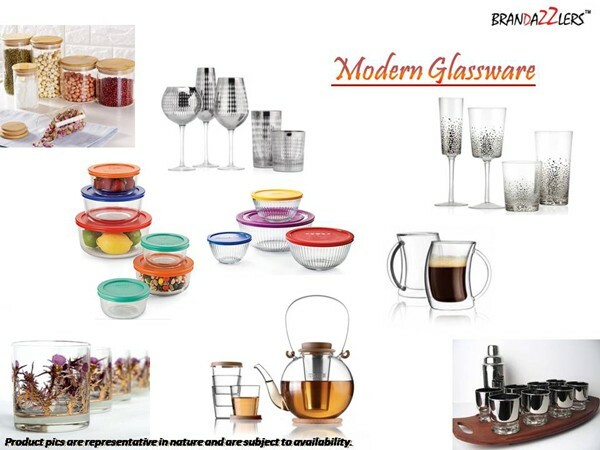 Sippers, Bottles, Flasks: Gift items like Sippers, Bottles & Flasks add up as an essential handy utility fluid containers with fancy colors, shapes and sizes. 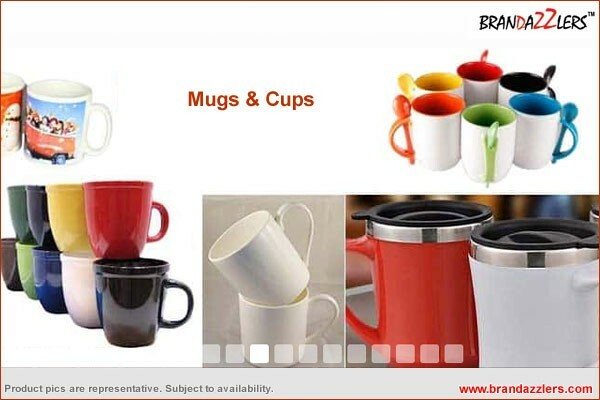 Mugs & Cups: Most of us begin our days with a hot cup of coffee or tea. 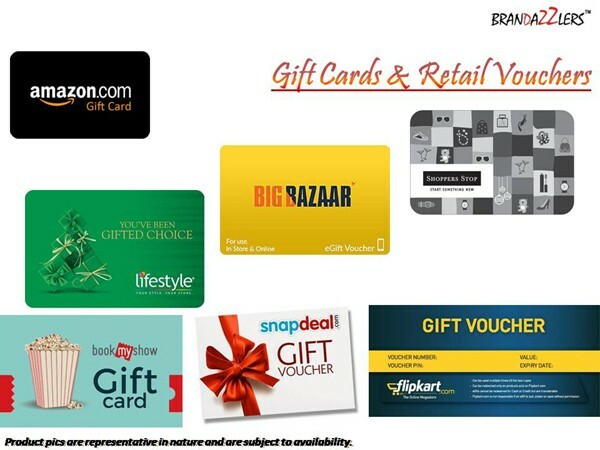 This is where companies can remind their names on a daily basis with these gifts. 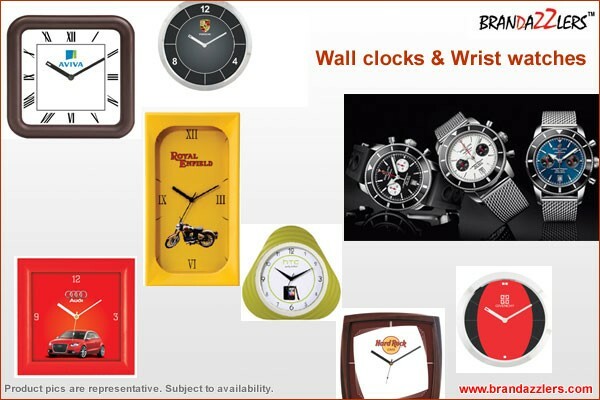 Wall clocks and Wrist watches: Wall Clocks are prominent branding products & great utility as corporate gifts. 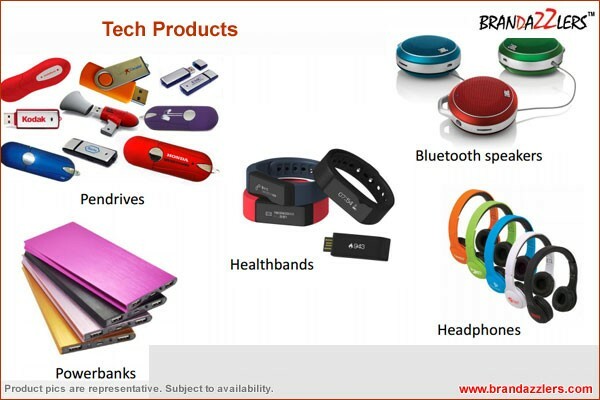 Same goes for wrist watches as sleek gifts. 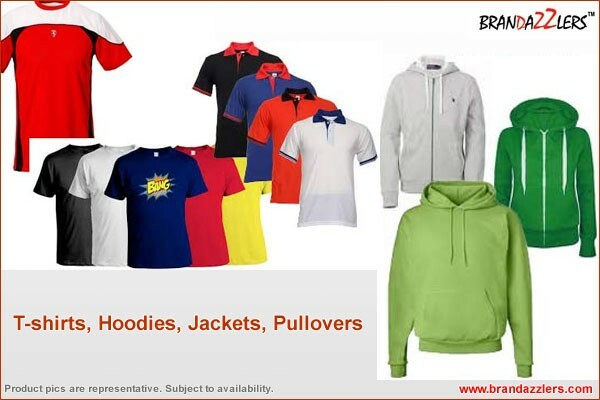 T-shirts, Hoodies, Sweatshirts, Jackets, Pullovers etc: Logo printed customized T-shirts, Hoodies are common among corporates. 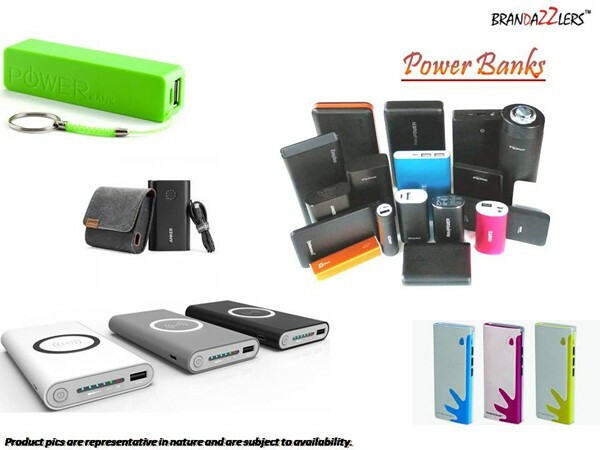 Many corporates, organizations, colleges and institutions choose these as promotional gifts. 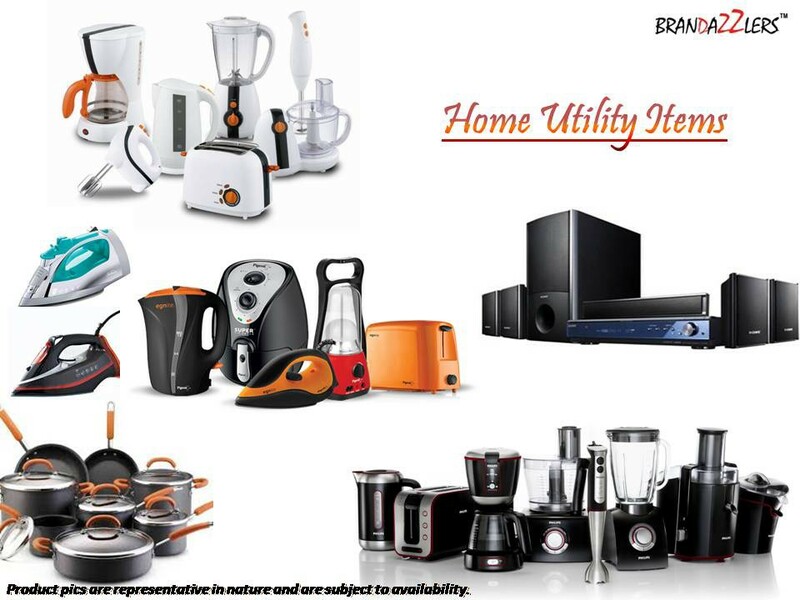 Tech Products: With the advancement of technology, many tech products and digital gizmos have added to the bouquet of corporate gifts. 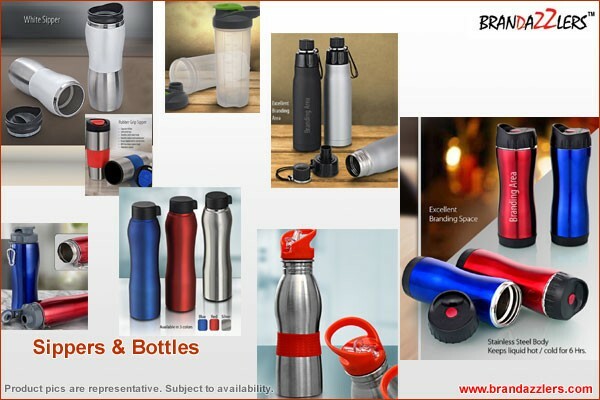 For more details about plenty of options in each of the above mentioned corporate gift ideas for employees, clients and customers according to various budget slabs, or for corporate gifts online supplier, mail us at info@brandazzlers.com or call, text or whatsapp at +91-9910033460. 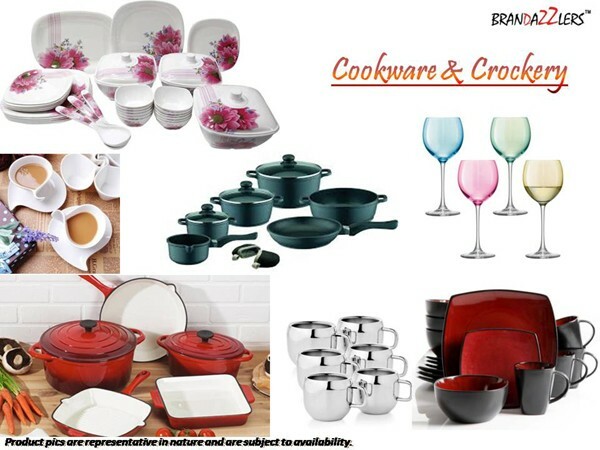 One of the top suppliers of Corporate Gifts & Promotional products in Gurgaon, Noida, Delhi NCR & Other cities in India.